Dermalogica Dermal Clay Cleanser is skin cleanser that is touted to be an effective product that can penetrate the skin for deep cleansing. Thanks to its clay formula, it can go deeper into the skin so it can thoroughly get rid of all dirt and other impurities. Also, the product consists of Kaolin and Green clay, which as claimed, could eliminate excess oil from the skin’s surface, giving your face a fresh and rejuvenated look. What are the Components in Dermalogica Dermal Clay Cleanser? Cucumber Fruit Extract – in some studies, this component has shown to be a skin emollient that functions naturally. It also includes astringent traits, which is why this substance is typically used in skin cleansers. Arnica Montana Flower Extract – this ingredient it claimed to have anti-septic and anti-bacterial characteristics that are used in skincare products in order to address skin inflammations. Also, it is believed to sooth the skin while helping in its restoration. Mallow Extract – traditionally used as part of skincare regimen for hundreds of years, mallow extract has traits that can heal and soften the skin. It is said to have the potential of regulating your skin tone and supporting the skin’s moisture harmony. Sodium Magnesium Silicate – this silicate clay is made artificially and is used as a binder in beauty products. Despite this, there’s no toxic materials in it and does not cause irritation. Menthol – an organic ingredient that originates from numerous mint oils, menthol comes in clear or white in color. It is typically used for medicinal purposes due to its soothing and refreshing effects, as well as in skincare products for the same reasons. Menthol has been proven to deliver calming effects to your skin. Its menthol fragrance is also invigorating. It is also valuable in terms of curing skin inflammations. With its clay formula, Dermalogica Dermal Clay Cleanser in its conjoined form is asserted to be a kind of product that deeply cleanses as it eliminates impurities while being mild on the skin. Furthermore, the skincare product contains plant-based extracts such as Saccharus, Lemon and Ivy. These three work hand in hand to get rid of excess oil while invigorating the skin for a fresher look. There’s deep cleansing feature for oily skin. The clay formula in this product efficiently eliminates all forms of dirt and bacteria accumulation in the skin. The use of menthol and cucumber allows the skin to experience a cool and soothing sensation. There’s no synthetic color or fragrance included. Put an ample amount of this product into your palm. Wet your skin and apply this by rubbing upwards while stroking mildly. Prioritize the areas that are more susceptible to oil and dirt build-up. After you’re done, rinse with water and pat your skin dry with a clean towel. How Effective is Dermalogica Dermal Clay Cleanser? For one, Dermalogica is a reliable line of skincare items. This brand has also created numerous skincare items for multiple skin types that have also been studied and tested clinically. Dermalogica Dermal Clay Cleanser is a cleanser that also serves as a clay mask, that’s why it is expected to produce positive effects as claimed by the company that developed it. The clay formula of the product guarantees that all dirt and oil are eliminated right from their source while the menthol and herbal extracts in the product provide your skin an invigorated sensation. Several customers also testified to the truthfulness of the manufacturer’s claims, saying Dermalogica Dermal Clay Cleanser lives up to its promise of efficacy. On the other hand, there are also poor reviews indicating there are also users who are not fully content with the product’s results. These users said they had breakouts while using the product although it truly made their skin cleaner and less oily. This skin cleanser costs $36 for an 8.4 oz bottle. Generally, the price is more expensive compared to other similar products, but they’re saying it should be worthy because of the ingredients involved such as Kaolin and Green clays. Nevertheless, if the use of Dermalogica Dermal Clay Cleanser triggers breakouts, then it’s wiser to stop using it and try another brand of skin cleanser. To make sure you’re money is spent properly, try using the samples first before actually buying the entire product. Because of the content of menthol, which is actually included in large quantity, it may be quite uncomfortable for some users. In addition, sulphates and parabens could also lead to skin itchiness and stiffness. There are also reports of breakouts from some customers. Dermalogica Dermal Clay Cleanser is ideal for people who suffer from oily skin because of its clay formula that gets rid of excess oil. It can also be specifically applied during the summer season. 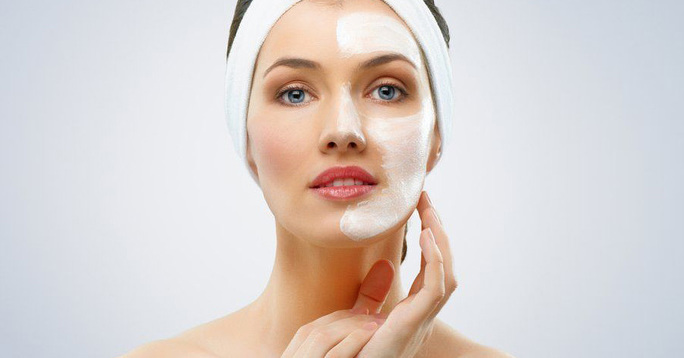 However, if the product turns out to be unsuitable for your skin, you can expect dryness and breakouts. Thus, it’s better to choose a skincare product that’s ideal for your skin type, or ask your dermatologist for a more appropriate product for you.